Blood is thicker than water, unless you stab a relative, then it needs to be washed off with water. Tess and Po have stumbled upon a potential murder victim and are all set to investigate this puzzling crime when Po receives a call. His dying mother wants to see him. His mother’s husband swore an oath to kill him. The rest of the family is ready to help. Except his sister, who has just gone missing near a new oil pipeline development, who Po has just been tasked to find. 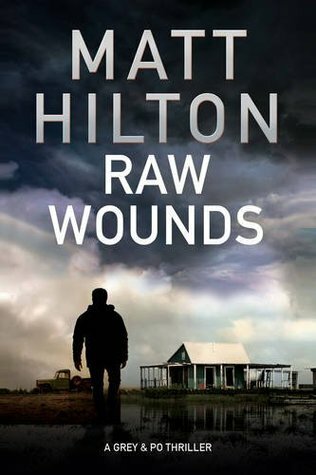 Having been a long time fan of the Joe Hunter series by Matt Hilton, I was keen to read this new series from Matt. Much like the Hunter series, Matt has given us a solid crime thriller with plenty of action. The hard moulded Po is a lived in character, and Tess feeling like someone who is still trying to adjust to her new life as an ex-cop. They feel like good characters to follow for more adventures.